Ora King Salmon Vodka Gravlax: with avocado and capsicum relish, chives, creme fraiche and Chardonnay vinaigrette. 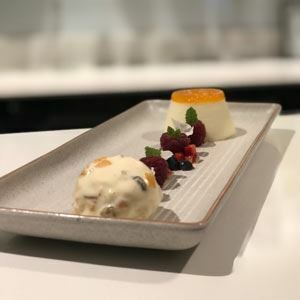 A hidden culinary gem in Corrimal, Table 426 is dedicated to offering a dining experience that reflects just how passionate they are about fresh food. This family-run restaurant has a relaxed, welcoming atmosphere and a spacious design that caters perfectly for a variety of functions and events. Making yourself at home is all too easy with a menu based on fresh, local produce and ingredients, with inventive Mod Oz dishes like squid ink linguine with Hervey Bay scallops, prawns and Pepe Saya butter; or perhaps beetroot gnocchi with walnuts, nutmeg, goats curd and pecorino cheese. The desserts are equally as impressive, whether it’s a classic vanilla bean crème brulee with nut praline sand, or pear and meringue with house fig jam and mascarpone Chantilly cream. thanks again to DANNI from channel 10 on your amazing work. Food is a companion to smiles, laughter and good conversation. This is my goal. Small or Large Groups Functions - special requests catered for. Book your next function at Table 426. Contact us today to organise your next event on ph: 02 4283 1964. Food is delightful delicious and full of flavour that your mouth waters and the service is friendly fast and always pleasant. Highly recommended ! Very delicious meal with wonderful attentive customer service and lovely atmosphere. Had to return for another meal as the first was so wonderful. So not disappointed as each dish was delicious, beautifully presented and tasted fabulous. Customer service was very good as they could not do enough for us. Table 426 is a favourite restaurant of my family. We’ve been going to Table 426 for years. My parents first introduced me to it, now I book it for myself and partner as a romantic and cosy table for two, small group bookings, large group bookings, and attended various events ie degustation dinner with wine match. The food is always top shelf, as is the wine selection, the friendly and timely wait staff, and of course the personable nature of the chefs. Their passion for great food and service definitely shows.. every visit. The easy listening of the piano (on-site) as background music definitely sets the scene. We’ve promoted Table 426 to friends and family, who’ve mentioned they’ve thoroughly enjoyed it also. We look forward to sharing another fabulous meal at Table 426 soon, and for many years to come. Keep up the good work! A little gem tucked away in the suburbs of Wollongong. Amazing food and amazing staff. The quality of the food is excellent and the staff are so polite and pleasant.. My favourite place to eat..
We had our Christmas function last night at Table426 the service,food and atmosphere was once again tops,could not have had a better night. Thank you to all for making our team so happy. Beautiful people and service. I couldn't recommend more. A mix of modern and contemporary food with the best quality. My favourite restaurant! I recently had the pleasure of dining at Table 426. The food was exceptional and the wait staff were friendly and helpful. M partner and i love coming to Table426 by far our favourite,we tried the dumpling bar and it was just delicious, we chose the pork dumpling,prawn dumpling,duck spring roll, zucchini flowers and the coconut prawns, they were all so yummy that we had another round.the cocktails were beautiful as well. this is why we keep coming back. Dined here with my partner, we are foodies and really enjoyed the whole experience. Fine dining in Corrimal - YES, Corrimal! If you haven't yet been to Table 426, you need to get your act together and get booked in. This is seriously the best restaurant in Wollongong. The food is amazing and the staff are attentive and friendly. The pasta is home made and always beautifully fresh and tasty. If you like a steak, the chef always get it right - if you want it medium, that's what you'll get. Steaks are always cooked to perfection. The menu changes regularly and the prices are good. I can't believe this little gem is tucked away in Corrimal! Wish Table 426 was in Sydney! Table 426 please open another restaurant in Sydney! Delicious food prepared by the wonderfully amazing mother daughter chefs, and served in an elegant relaxing setting. There’s a bonus weekend pianist entertainment plus a fully licensed bar where you could enjoy a cocktail and tapas. I would definite be a regular customer if Table 426 were closer. Never stops to amaze me, went there last night with a few friends. I had the Tuna Carpaccio with advocato I was in a happy place by the time I finished it wow service out standing. Love coming on a regular basis. We often go to Table426 Corrimal. My husband and i went there on Christmas Day what a beautiful day we had,the 4 course meal was devine,service was great considering how busy they were. Thank you for making our Christmas special. This place is amazing! The food is Devine, the staff are very friendly and the atmosphere is great. Be sure to dine on a weekend with the pianist. Fave dishes are the salmon gravalax and beetroot gnocchi! The brûlée and meringue mess are to die for!! This restaurant is one of the best food experiences and customer service there is in the Illawarra. Highly recommended. What a fantastic restaurant. We are so lucky to have this beauty just down the road. We were frequent guests of Imagine and will continue this with Table 426. Marisa, Natalie, Jasmine and the team have done a great job on improving the look and feel of the restaurant. It now has a fresh, modern feel with a bar you can actually sit at (and enjoy fab tapas at) and a baby grand piano, complete with pianist to set the tone. Kimberley and the rest of the wait staff are great and really make you feel special. Food (most importantly) is spectacular. Try the pork belly or lobster tail with squid ink pasta for entr?e. The duck is a lovely main (my favourite), and you can't go past one of Marisa's steaks - she cooks steak the best in Wollongong. Overall a great experience. I'm recommending this to everyone I know as often as I can. The staff are wonderful and the food is excellent! So happy to have come to Imagine after a friend suggested we try it. The arancini were delicious and the crab ravioli was to die for! The setting in the restaurant Imagine is relaxing and the staff are very warm, welcoming and skilled in the art of "Being of Service" to the customers. The dishes are delectably delicious which is not-surprising after being enticed by the initial amazingly creative and colourfully balanced presentation. Imagine is to be experienced for all the points above and for the fact that it is value for money. Food was excellent. Service very good and great value. Will defiantly be back. Perfect combinations of taste and flavour. Great atmospher. It invites you to return again and again. I go down to Wollongong at least twice a year and I'm always drawn back to this fantastic family run restaurant. The service is great and the food definitely keeps me coming back. The Saganaki Prawns are amazing. I would definitely recommend this restaurant to my friends. It's a must visit. Fantastic for functions, family dinners or a cosy table for 2. Food is always delicious. The head chef goes out of her way to please, even special requests are no problem. Staff are friendly and welcoming. Would definitely recommend Imagine Restaurant to all, once you discover this little gem, you will be back, as are we, as often as possible. i went to this Restaurant with a group of people.. all the food looked and tasted absoluting AMAZING!!! the hole group really enjoed it. and the service was really good :) the desserts were Mouth water, the setting is really nice and and its a fantastic atmosphere. ill definatly go back many more times. This is the best restaurant in Wollongong by far! Every dish is amazing!! My favourite meal is the mouth watering veal saltimboca. The service is terrific. Imagine surely creates a fantastic atmosphere for customers. Can't wait to go back!! This Easter Sunday Table 426 is putting on a family event for everyone to come and have a great fun day. We will be offering a banquet-style menu for you all to share together. 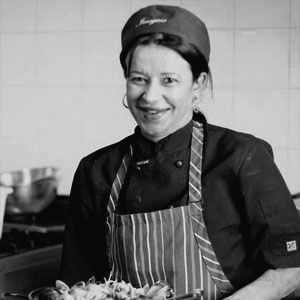 Marisa will be cooking her famous lamb roast, as well as her marinated and baked Atlantic salmon. A 3-hour drinks package and an Easter egg hunt for the little ones. Adults: $80 pp, children 4-12: $28, children under 4: free. Call to book on (02) 4283 1964. There's no better gift than spending quality time with family and loved ones, and here at Table 426, we want to spoil all those lovely ladies that have cared for us for years! With a complimentary glass of Sparkling for all mothers who dine with us on the day, we can't think of a better way to celebrate! Click on more info to view our special menu. Call on us (61) 2 4283 1964.